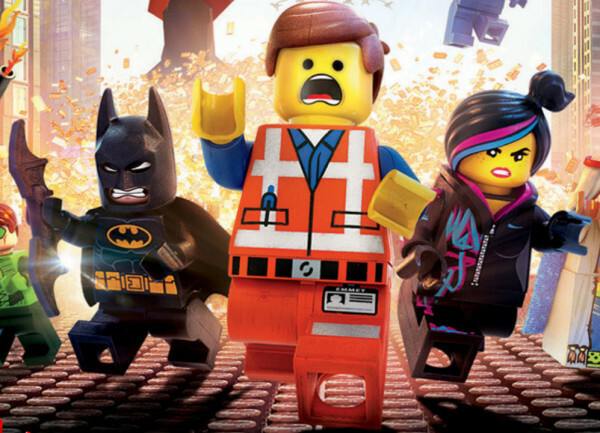 Emmet Brickowski (centre) becomes the unlikely hero of the Lego world in The LEGO Movie. You will all be pissed off with me. I actually saw The LEGO Movie when it was first out around the first weekend in March. The reason why I never wrote a review about it is because I was so tired out from doing a multitude of Academy Award articles. You can understand that I felt enough was enough back then and I lacked the ambition. Well ambition to write a review on it sparked in me already, especially with the Oscar season coming up and the multitude of accolades it’s received. Now I can say my thoughts. This is another review where I won’t be giving a synopsis of the plot. I don’t feel it’s necessary since most people have already seen it by now. Nevertheless I’ll focus on how the movie worked. This is a film that needed to have a winning script in order to make it work. It starts simple about a guy who does what he can to be liked only to learn he’s not well-liked. He’s the ‘chosen one’ despite the surprise of everyone but ends up victorious in the end. Sounds like a formulaic story that been done endlessly before, right? In order to make a story like this fly, it has to add its own quirks and elements to make it fly. This movie succeeds in creating a Lego world beyond a toy lover’s imagination. On top of it, it had to make the Lego toys very animate and full of character. Remember the Legos are the focus of the movie. The film also did a smart job in adding in characters that are exclusive to the Lego toys and in including the Lego characters based of off movie characters. It does seem like the writers did a lot of research about the characters to have in the movie. The film adds in a lot of humor. Firstly it creates a humorous world with the wizard Vitruvius, a villain in the Lord Business and a superweapon called Kragle which is actually Krazy Glue. However its other great asset is including the human world in the story with ‘the Man Upstairs’ and his son. It’s that twist at the end where we are all shown that this Lego world is all part of a giant Lego diorama created by the Man Upstairs. Whatever the situation, it had to make the two worlds mix in the end in order to make the story work and it did. Not to mention give a surprise humorous ending. Now it’s not just the story that had to work. Not to mention having ‘Everything Is Awesome’ the movie’s theme song. The film had to make the animation believable. They had to make the Lego characters fluid in movement rather than wooden and choppy. They also had to be given the perfect animation in their faces while remaining Lego characters. Finally the Lego world had to be animate and 100% Lego from the building world Emmet works in to the sea the Lego galleon sails on. When you have a Lego movie, the world and the characters have to be 100% Lego-like from start to finish. One glitch in the animation and that would have blown it. Kudos to Phil Lord and Christopher Miller for writing and directing an excellent entertaining film for all ages. In addition, great job on the vocal talents of Chris Pratt, Elizabeth Banks, Liam Neeson and Morgan Freeman. Also great job of Will Ferrel for delivering a live-action character that’s a refreshing alternate from his more idiotic characters. It’s no wonder The LEGO Movie has been so loved since it opened back in February last year. It’s also no wonder it’s still beloved by people of all ages even now. It’s only those under a rock that haven’t seen it that don’t know why. At first I was not interested in seeing Lucy. What got me seeing it was all the talk so many people who’ve seen it have said about it. I thought I’d check it out myself. For those who haven’t seen the movie, it’s about a young woman who goes by the name of Lucy caught in a crime heist by surprise thanks to her shady and no-longer-living boyfriend. She then becomes a drug mule for a set of mind drugs that expands the brain’s use at one time from the alleged normal 10% to as much as 100%. This sets her up with getting even with her crime bosses, connecting with the other drug mules involved and making sense with the human race thanks to a college professor and her own mind’s supernatural ability to travel through time. Sound confusing? Well, you be the judge after you see the movie. The funny thing about the movie is the whole plot of trying to make a connection between brain use at one time to the evolution of humanity coinciding with a criminal act. It’s a movie that tries to be humorous as in the case of Lucy telling her roommate of her health condition as well as action-filled in the story of as well as try and provoke thought about the human race and people’s ability to think. This is a complicated mix to try and create a good script that can entertain moviegoers. One thing about the film is that it doesn’t make complete sense. Yes it’s a complicated story and yes there are parts that try to make it make sense over time. In fact the movie looked very ambitious at the beginning and appeared like it would deliver something to think about as the plot unraveled. However there are many times in which I wonder if it could have been organized out better or even played out better. Like those parts where Lucy connects with the ape-like human from eons ago made me question its purpose and whether it really worked or not. This is one case when I leave the movie theatre thinking of what scenes could have been done better and how. I will give credit to the effort by director/writer Luc Besson given to make such a movie that includes an intriguing story. In fact I found the best thing about the movie is the fact we never know Lucy’s real name. But all the elements included in this story don’t blend together well as a whole. I felt it to be uneven and confusing at times. The movie did have a lot of positive qualities. The best thing about it had to be the acting. I can’t complain about that. Scarlet Johansson and Morgan Freeman were good in their roles. They knew how to work their roles well otherwise the movie would have come across as completely ridiculous. They also knew how to keep our intrigue to the unfolding events. Choi Min-Sik and Amr Waked also acted well enough to keep the story intriguing and intact. The movies’ special effects were also excellent, and for not even $40 million. The score to the film by Eric Serra also fit the story well. One thing I have to say about Lucy is that it was actually successful in getting people to talk about the movie’s topics. From the 10% brain-use hypothesis to the belief of evolution, that got a lot of people thinking, despite how disjointed the movie seemed. In fact I myself went to see it after two people I knew mentioned they saw it and gave their comments of what they thought of it. I find it interesting. That’s all I will say. It also paid off at the box office too. It’s still in theatres but it has made almost $125 million in North America and $378 million worldwide. I think the topic of the plot paid off in getting people to come. One feat it has achieved is this is Besson’s highest-grossing film to date. Lucy is an ambitious science fiction movie that tries to make us think while keeping us fixated on the story and the action along the way. However it’s not all that together of a movie. Attention-grabbing, thought-provoking, but not really together. The Wizard Of Oz gets the 3D treatment and the IMAX treatment for one week only. It’s interesting how many films have been re-released in 3D. However this week marked an opportunity to see a classic movie re-released in 3D for the first time ever, and in IMAX to boot. It seems appropriate that the first classic movie to receive a 3D re-release is The Wizard Of Oz. The big question is does The Wizard Of Oz work in 3D? Just like my review of the 3D re-release of Titanic, I will focus my review in the 3D aspect of the film as well as other technical aspects. The most I will mention about the film itself is that it still qualifies as a masterpiece. The acting, singing and dancing are top notch and the movie is perfectly edited. The visual effects are very cheap and chintzy by today’s standards but they didn’t have today’s visual effects technologies 75 years ago. Nevertheless the movie continues to entertain families even to this day. It’s no wonder why it’s stood the test of time. In fact I declare: “If you haven’t seen The Wizard Of Oz, you didn’t have much of a childhood.” The film has received a load of acclaim including a #10 ranking on the AFI’s 2007 list of the Top 100 Films of all time, a #3 ranking on their list of the Best Musicals, a #1 on the Top Fantasy Films and a #43 rank on the Top Thrillers List. Three of its lines made the AFI’s list of the Top 100 Movie Quotes with “Toto, I’ve a feeling we’re not in Kansas anymore.” being #4. Three of its songs made the AFI’s list of the Top 100 Movie Songs with Over The Rainbow naturally being #1. Another interesting note to add is that it was directed by Victor Fleming. Fleming also directed another masterpiece released in 1939: Gone With The Wind. Both would become two of the greatest films ever made. 1939 would be considered one of the greatest movie years ever and you could bet it was because of those two movies. No doubt they established Fleming as one of the biggest directors ever. As for the 3D IMAX re-release, I often questioned in the days before seeing it whether it was a good idea to re-release it in 3D? Technology’s changed a lot in the many decades since. The special effects would be seen as cheap by today’s movie goers. Would the 3D work? Would the IMAX theater format work? I saw it Saturday night. Hey, this is a one-week only limited time thing. The film started on an impressive note. I noticed the 3D work with the MGM roaring lion and the opening credits with the clouds in the background. As for the story, I didn’t notice how the 3D addition made too much effect on the movie. The debris from the cyclone didn’t really surprise us. The bedroom window images Dorothy was looking at in mid-air was made too obvious this was film-on-film work. The pyrotechnics used didn’t appear 3D. The flying monkeys didn’t appear like they were coming for me as I was hoping they would. I don’t think the 3D effect really added too much too the movie. Showing it on an IMAX screen did. It wasn’t necessarily the special effects that were enhanced by the IMAX screen but it was the viewing of the whole movie. I’ve seen it on television many times but just to experience it on an IMAX screen was definitely something. I think I would have been impressed even if I saw it on a regular movie screen. Nevertheless it was a delight to see. 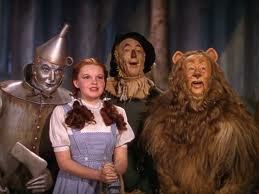 The movie must have been remastered because the colorful images of Oz were incredible. The ruby slippers shined, the makeup on the tin man looked fresh, the green face of the witch looked scary, Glinda’s gown looked majestic, the yellow brick road looked freshly painted, Emerald City glowed…I think I could go on forever. Even the sound appeared remastered as the movie score and the musical numbers from everyone, especially Judy singing Over The Rainbow, sounded completely fresh. Funny thing is that it has me wondering if there will be any other classic movies that would receive a 3D re-release. I will admit that The Wizard Of Oz is the one classic movie that most deserves a 3D re-release but will others follow? I’m sure there are some, like say King Kong or Ben-Hur or the Ten Commandments. I’m tempted to think some of those sci-fi B-movies from the 50’s would be great to re-release in 3D. So would Star Wars. Actually does Star Wars now qualify as a classic movie? Oh yeah. For those curious about the box office biz, it made roughly $3.1 million this weekend. Ironically it made $3 million back during its original release in 1939. Actually $3 million would be lots in 1939. I’m sure if you adjusted 1939’s total with inflation and added in the grosses of the various re-releases, it would be in the hundreds of millions. I’ll admit that I find 3D releases of movies cash-grabs, including 3D re-releases. The 3D of the 3D IMAX re-release of The Wizard Of Oz didn’t add too much. However the IMAX format and the remastering of both the images and the sound made it an excellent viewing pleasure. Reminds you that it’s so right and proper that it be re-released on the big screen whatever format it’s given.